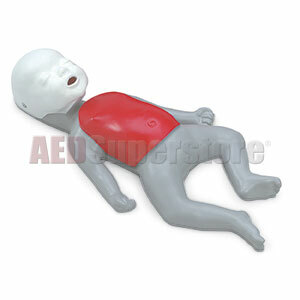 Life/form® Baby Buddy Single Manikin. Consists of one infant manikin, 10 lung/mouth protection bags, and an instruction manual. Size= 20" x 14" x 10". Five-year warranty. Not made with natural rubber latex. Conforms with ISO 9001 and ISO 13485.